On March 22nd, Grammy-award winning singer Patti Austin visited parents and patients at the Boston Children’s Hospital for her Over My Shoulder Foundation. 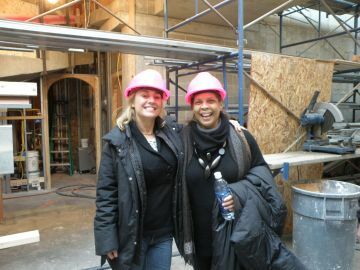 The Foundation, co-founded by Patti Austin and Dawn Carroll in 2010, aims to raise awareness of the importance of mentoring through music, art, and design. At Seacrest Studios, Patti shared her book, “Ugly Duckling: Mighty Musical Fairy Tales” with patients and their families at the state of the art multimedia space inside the hospital. “She was a great studio guest and we thoroughly enjoyed having her and so did the patients and families!” says Max Svec, Media Program Specialist at Boston Children’s Seacrest Studios. Svec adds “I heard (and witnessed in the studio) that Patti’s fun loving energy was very much enjoyed by the patients and families. As the host, I really enjoyed speaking with Patti. She was a wonderful guest to have live on the air with us. Our studio visits are always the most successful when the guest is excited, happy, and wants to be there. Patti was all those things! Additionally, with March being National Nutrition Month, Patti visited Chef’s Playground, a first-of-a-kind culinary demonstration station at the Boston Children’s Hospital. At this innovative fresh food court, Patti cooked dinner with Chef Dean Duffy from Johnson & Wales University for parents and caregivers of terminally ill patients. The menu included an appetizer of pan seared scallops on creamy parmesan polenta, asparagus tips and basil oil. As an entrée, the pair served guests herb crusted lamb loin with roasted fingerling potato, baby carrots, Brussel sprouts and lamb jus. A video from the event is in production. time, expertise and wisdom with upcoming generations of designers. Waltham, MA – Featuring the designs of Oscar de la Renta, Bob Mackie, Stephen Yearick, Givenchy, and other fashion visionaries of the twentieth century, “Yolanda: Innovative Fashion Icon; 50 Years of High Heels, Headpieces, and Haute Couture” opens to the public on September 8. Hosted by The Charles River Museum of Industry & Innovation, this special exhibit is curated by Boston icon Yolanda Cellucci. On Friday, September 5, Dawn Carroll, Over My Shoulder Foundation (OMSF) Executive Director, will present Yolanda Cellucci with the second annual “Designing the Next Generation” award during a VIP preview of the exhibit. The award, co-sponsored by OMSF and Cumar Marble & Granite, honors those who cross generations and cultures to mentor the leaders of tomorrow, and was last presented to Governor Michael Dukakis. Yolanda Cellucci founded her famed bridal salon with just a handful of dresses in 1968 and built it into a local institution. She brought couture fashion to the conservative streets of Boston. Forward thinkers like Yolanda sparked the imaginations of designers of all kinds to explore couture, bringing the glitz of Cher and glam of Bob Mackie to the woman on the street. By the time Yolanda Cellucci closed her shop in 2009, the business included a bridal salon, bridesmaid and couture boutiques, children’s wear, and a full-service beauty salon and spa. September 5: VIP opening reception, 6 p.m., at the Charles River Museum of Industry & Innovation, $25. The reception includes cocktails, hors d’oeuvres and the “Designing the Next Generation” award ceremony. To purchase tickets, visit yolandavip.eventbrite.com. September 8: Public opening of the exhibit. There is a suggested donation of $10. October 16: Special exhibit talk with Cellucci at the Charles River Museum of Industry & Innovation, 6 p.m., $25. To purchase tickets, visit yolandatalkcrmi.eventbrite.com. 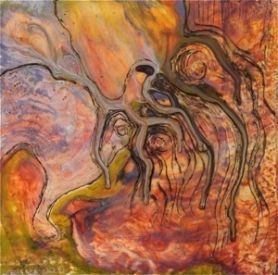 November 20: Special exhibit talk with Sondra Celli at the Charles River Museum of Industry & Innovation, 6 p.m., $25. To purchase tickets, visit sondracellicrmi.eventbrite.com. [box]Over My Shoulder is thrilled to introduce a new writer, Erica Korff. Erica attends the University of New Hampshire and will be graduating in the Spring of 2015 with a Bachelors Degree in communications and writing. Her interests include journalism, blogging, and broadcasting. Living in Boston for the summer, Erica will be offering positive and uplifting stories for mentees and mentors. Today writes about mentorship, business, and mental health. Please help us welcome Erica, and check out her personal blog! mental health: noun 1. a person’s condition with regard to their psychological and emotional well-being. What can you say about your mental health? Do you consider it to be strong and positive? Do you consider it to be healthy? Whether you’re a young entrepreneur or an experienced business owner, it’s important to sustain good mental health. Carrying all that pressure on your shoulders can be tiring and stressful. 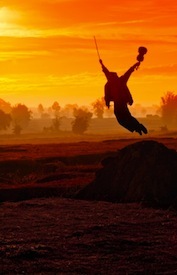 It’s important to balance that weight in order to maintain your peace of mind—and, most importantly, to be happy. Breathing exercises and exercise are good for your all-around health, but having a mentor by your side will also strengthen and stabilize your mental health, in and out of the workplace. A mentor isn’t a manager, someone above who tells you what to do. A mentor provides an outlet to lessen the pressure. Whether it’s an issue with a project or with a fellow colleague, a mentor can advise you to help solve these problems. Having an independent yet experienced perspective can help you sort out obstacles in the workplace. Being able to share your problems and brainstorm solutions with an experienced mentor will strengthen your resolve, ease the pressure, and clear your mind of undue negativity. 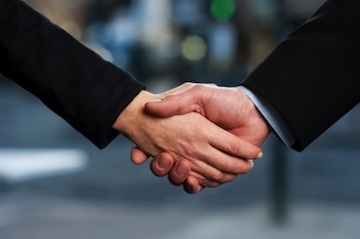 Having a mentor with similar interests and a compatible personality builds a sense of trust. With a carefully-chosen mentor, there exists a bond of support. Sometimes it’s difficult to take orders; sometimes it’s difficult to give them. With a mentor offering suggestions and guidance, it can be easier to recognize good advice. A trusted mentor helps you listen, digest, and take action. This strengthens your mental health by lessening the stress of ongoing projects. Starting a company can be exhilarating. Will your idea sell? Will people visit your site? Will you be able to live on what you earn? Despite the fact that you’re starting a business on your own, however, you don’t have to be on your own. A mentor who is experienced in building great ideas can calm the nerves. They can review your ideas and processes, give feedback, and dole out the “tough love” when needed. A mentor can guide you through the storm of entrepreneurship, settling your mind as well as your emotions. Most importantly, make good use of both your and their time. Don’t be afraid to ask for help. 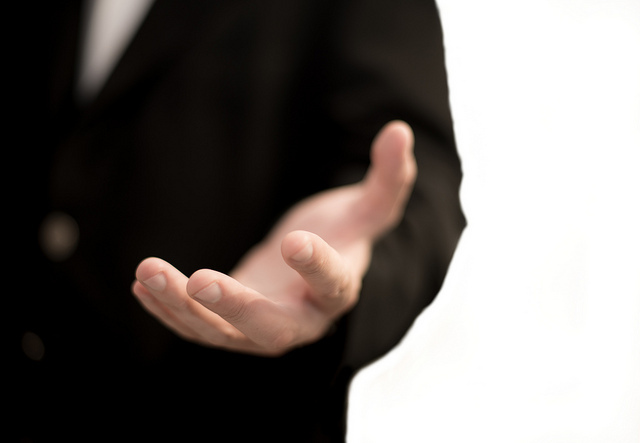 Your mentor has willingly entered into this relationship and is more than happy to help you in any way that he can; however, your mentor will not know how he can help you unless you ask. Touch base on a regular basis. Even if you have nothing new or exciting to report, keeping the channel of communication open is essential. This could be as simple as dropping your mentor a note to keep her in the loop about an upcoming seminar that you plan to attend or sharing a news article where your business was mentioned. Be focused and prepared for your meetings. Since both your time and your mentor’s is precious, plan to get the most out of your meetings by being focused on the task at hand and prepared when getting together. Retain confidentiality. Sometimes your mentor will share information with you that is only for your ears to hear, so keep his trust by keeping this information confidential. Follow-up with your mentor on her suggestions. This will help your mentor to see that you appreciate the knowledge and wisdom that she is sharing with you and that you are executing on these shared strategies. To learn more tips for mentees and the powerful impact that a strong mentor/mentee relationship can have, please contact us the Over My Shoulder Foundation. Even Oprah has benefited from having a mentor. 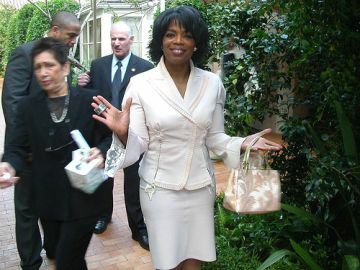 Oprah Winfrey: Mentored by Mrs. Duncan, her 4th grade teacher. General Colin Powell: Mentored by his father, Luther Powell. As you can see, this list of famous mentors includes interesting pairs that bring together diverse backgrounds, both across differing generations and areas of expertise. At the Over My Shoulder Foundation, we believe that this type of mentoring relationship can be mutually beneficial to both the mentor and mentee and therefore strive to raise the awareness of “Mentorology.” Please contact us to learn more about our organization and how you can become involved. Pictured (from left): Janice O’Leary, Denise Hajjar, Paula Daher, Dawn Carroll, Ivo Cubi, Carlotta Cubi, Jon Butcher, and Dave Connor. Photograph courtesy of Russ Mezikofsky. On Monday, March 24, the Over My Shoulder Foundation (OMSF) partnered with Cumar, purveyors of fine marble and granite, to present Charmed by Charity: Mentoring in the Music, Design and Fashion Industries. 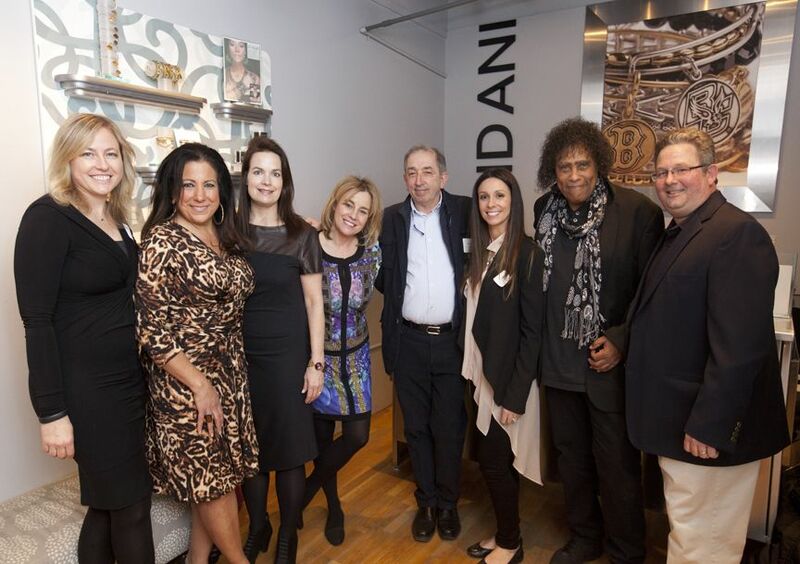 The event was held at the Alex & Ani outpost on Boston’s trendy Newbury Street, and featured a mix of local celebrities, media, and mentoring supporters. Guests were treated to light fare and copious attention from the Alex & Ani staff, who were on hand to help customers choose from an array of beautiful bangles and bracelets. Headquartered in Cranston, Rhode Island, Alex & Ani is known for their collection of meaningful jewelry that “adorn the body, enlighten the mind, and empower the spirit.” 15% of proceeds from the evening’s sales were donated directly to the Over My Shoulder Foundation; guests who purchased $100 or more in merchandise were treated to The Path of Life, a book of testimonies by Alex & Ani customers, who share the ways the positively-focused jewelry changed their lives for the better. Janice O’Leary, health and wellness editor of the global luxury publication Robb Report, formerly editor-in-chief of Boston Common magazine, was the event’s emcee, which kicked off with a welcome from Dave Connor, CUMAR general manager and OMSF board member. Guests were also treated to a song put together especially for the event: “The Path of Life” was co-written by Grammy-nominated Boston rocker Jon Butcher and OMSF Executive Director Dawn Carroll, and was inspired by the Alex & Ani book of the same title. After that, Amanda Frederick, assistant manager of Alex and Ani’s Boston location, discussed Charity by Design. Cumar’s executive vice president, Carlotta Cubi, and Paula Daher, principal of Paula Daher Design, talked about the importance of mentoring in the stone and interior design industries, respectively. Then stylista Denise Hajjar, of the eponymous boutique, shared her insights from the fashion industry. Before she took the mic, Paula Daher mentioned just how important mentoring has been to her as her career’s progressed. “It took me awhile to find [a mentor],” she said, “And in fact, I never thought I would. It’s men who tend to hold positions at the pinnacle level.” In response, she says that she feels even more compelled to mentor—in particular, women—now that she’s established herself. Janice Dowling, another area designer and instructor at Boston Architectural College, agreed, and added that, “It doesn’t matter how far along in your career you are, or how old you are. There’s always something to learn. Be a sponge. Ask questions. Be curious.” Which just goes to show: mentors are needed at every stage of life. Karyn Polewaczyk is a freelance writer living in Boston and a staff reporter on personal finance for the Boston Globe. Boston’s Berklee College of Music has taken inspiration from the famed Bluebird Cafe in Nashville and created two events that epitomize the spirit of mentoring and community engagement. As we mentioned on our blog when we highlighted Amy Kurland’s influence on musicians at the Bluebird Cafe, aspiring musicians and songwriters are able to perform to audiences that often include movers and shakers in the music industry. Thus begins a connection between those looking to break into the music industry and musicians who have already done so. This connection is very much like the relationship between mentors and mentees. Berklee has taken that concept and built upon it with two unique music mentoring programs. 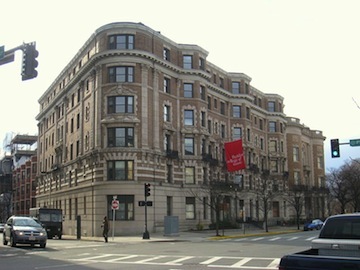 Berklee in the Round is an event that takes place the first Tuesday of the month during its school sessions. Students, alumni, faculty and special guests gather to perform songs and connect with each other. Among the group, one chair is set aside for that week’s special mystery guest. The guest might be a touring performer, a local songwriter, or an industry insider! This mixer brings together people with different musical backgrounds, which fosters community and provides opportunities for all. It’s true that you are never too young to begin the mentorshop process! Boston’s elementary school students will have the opportunity to learn the ins and outs of songwriting when the Berklee College of Music hosts a songwriting clinic, on January 27, 2014 at Cafe 939 in Boston. Not only will they write a song, these mentored students will also perform their song! Are you interested in learning more about music mentoring programs? Over My Shoulder Foundation has some excellent information to get you started! The music industry offers those who succeed in it a fulfilling, exciting and creative career! It is, however, a notoriously challenging business to get started in. 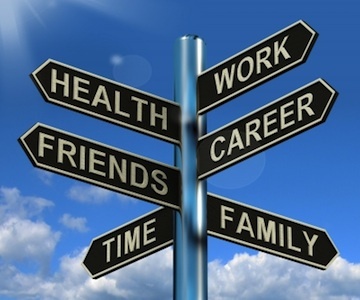 The environment and network is vast, which can be overwhelming for someone just starting out. How do you go about finding a good mentor? There are methods and approaches that you can use to find someone who is willing and is a good fit for you and your goals. It’s important to lay the groundwork by preparing yourself with information. Doing research is easier than ever these days, and it should not be a problem to get familiar with who’s who in the music industry. Read trade publications to get a feel for how the industry cogs turn. Consider traveling to music havens like Los Angeles, Nashville, New York City or Austin, to more easily connect with people in the know. Your research should lead you to people — and therein lies the real key! Get out there and meet artists, producers and promoters who have established music careers. Be polite and direct in conveying your interest in the music world, and desire to find a mentor. You’ll meet a slew of insiders at conventions, so attend some. South by Southwest, in Austin, is an especially accessible event for non-professionals who endeavor to meet old pros. Participate in events that help get your name out and foster connections. The Bluebird Café story featured on our blog is an excellent example of the type of things that help budding musicians launch their music careers. Don’t give up. Keep the lines of communication open and nurture the connections you’ve made. Stay up to date on music mentoring programs through our Over My Shoulder blog. You never know who might be the perfect mentor to help you learn how to get a start in this rewarding field. Wouldn’t you like to kick off your new year on a positive note, and learn about a concept that creates winners all the way around? January is National Mentoring Month, which means it is the perfect opportunity to learn about how mentoring works and how you can join this significant movement. The 2014 National Mentoring Summit, produced by MENTOR, takes place in Arlington, Virginia on January 30 and 31, 2014. According to David Shapiro, CEO of MENTOR, 1 in 3 young people are reaching the age of 19 without having a mentor. However, those that do have mentors are proven to strive for and reach college, have higher self-esteem and make more positive decisions. This is exactly why MENTOR was started 20 years ago and has gone from 300,000 young people in mentoring programs to 4.5 million! Whether or not you’re able to attend the Summit, you can take advantage of National Mentoring Month to educate yourself about mentoring and how it works in different environments. Music is fertile ground for mentoring, as we at Over My Shoulder Foundation believe. One of the core aspects of the field of music is collaboration. How often do you hear a musician cite his or her fellow musician influences? Recognizing that fact, it follows that mentoring and musicians fit together like fingers and piano keys. David believes that mentoring is a very powerful tool and one that every young person should benefit from. We welcome you to learn more about becoming a mentor or mentee! Try to attend the 2014 National Mentoring Summit. Please contact me, Dawn Carroll, at the Over My Shoulder Foundation to learn how you can get involved in Designing the Next Generation, and for what you’ll gain when you embark on this rewarding path. Did you know that January is National Mentoring Month? We’re starting the year off in a positive way, by providing opportunities for mentors to relate what they have gained and what they have given. National Mentoring Month is also a cue for those who are curious about learning what mentoring truly is. There are several events this month that will highlight some interesting mentoring opportunities. 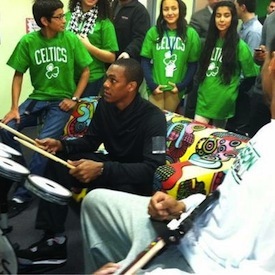 The Boston Celtics’ Shamrock Foundation will generously share more than 100 tickets for the January 29 Boston Celtics game with a group of mentors and mentees. During that Boston Celtics game, one lucky mentee will wear the title “Official Ballkid” for the evening! For the past several years, the Celtics’ program, “Heroes Among Us” has honored individuals who have given to their community. All in all, this basketball club is an energetic supporter of mentoring! We at the Over My Shoulder Foundation appreciate the value of people who share their experience and knowledge with young people. John F. Fish, head of Suffolk Construction, is someone who has both mentored young people and set an example for his peers of paying it forward. Amy Kurland and the story of the Bluebird Cafe is another excellent example of how mentoring relationships can provide lasting benefits. We invite you to share your talents with someone who is as passionate about your chosen path or career as you are! The benefits to both mentor and mentee are innumerable. Please visit our website or contact me, Dawn Carroll, to learn more about the Over My Shoulder Foundation. Under the leadership of John F. Fish, Suffolk Construction Company Inc. has achieved many positive distinctions. It is the largest builder in New England, earns two billion dollars per year in revenue, and is one of the country’s most successful building contracting companies. At the same time he has grown the company, Mr. Fish has, through his own example, instilled the values of mentorship and engagement in his company. 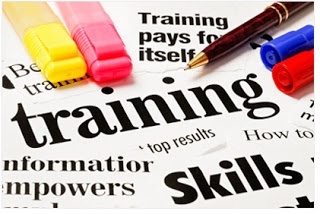 Someone who guides a company so successfully certainly learns much along the way, and Mr. 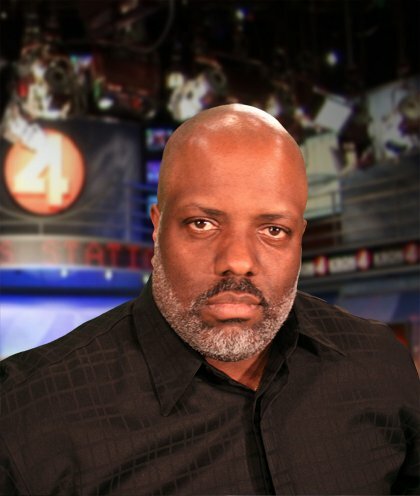 Fish has chosen to pass on his experience and wisdom in the form of mentoring. Suffolk’s own Red & Blue Foundation supports groups that seek to better individuals and society, through support of mentoring programs for youth, education, the arts and healthcare. Mr. Fish and Suffolk Construction recently reached out to young people in a pragmatic and motivational way, through the Youth Mentoring Partnership program. The company partnered with Madison Park Technical Vocational High School and YouthBuild Boston to give technical-vocational students the opportunity to be mentored on-site with Suffolk, and with other leaders in the subcontracting field. This unique symbiosis gave students a head start in the job market, while allowing company representatives to spot talented individuals early on. Truly a win-win situation! We congratulate and thank Suffolk Construction for supporting Over My Shoulder Foundation’s first annual Designing the Next Generation Extravaganza, which took place on June 18, 2012. This inspiring event brought together speakers from many backgrounds, who shared personal stories of their own mentoring experiences. John F. Fish’s commitment to mentoring programs for youth has had a positive effect on the lives of many mentees, and he has been a shining example within his own company. You, too, can make a difference in a young person’s life! To learn how, please visit our website for the Over My Shoulder Foundation. Whether we realize it or not, we are constantly surrounded by mentoring relationships. For example, the company you work for may have its own employee mentoring program. If you happen to watch reality competition series on TV such as The Voice, you will see that the participants are receiving valuable mentoring advice from singers with lengthy and successful careers in the industry and that the celebrity mentors are moved by the experience as well. Think about some of your favorite movies and the relationships that played out in those films. In the cult classic The Karate Kid, the focus of the story is an adult mentoring a troubled youth. 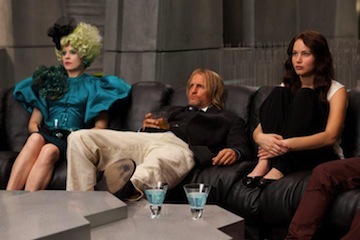 To elaborate on the topic of movie mentors, everyone is talking about The Hunger Games and the most recent release of Catching Fire. In the fantasy world that takes place in this series of stories, teens are made to face off in a truly life-changing competition. Each participant, otherwise known as a “tribute” from his or her district, is paired with a mentor that is often older and experienced with the Hunger Games competition, and this mentoring relationship proves to be instrumental in how the competition turns out. Our goal at the Over My Shoulder Foundation is to raise the awareness of Mentorology and the positive impact that it can make in the lives of others, whether cross-generationally or cross-culturally. 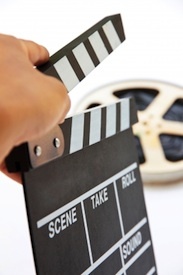 Considering the size of the audience that has seen the films mentioned above, you can see that movie mentors can play a powerful role in reinforcing the benefits and impacts of strong mentoring relationships. For more about the concept of Mentorology, please contact us at the Over My Shoulder Foundation. If you want to help this cause, become a mentor or donate to our organization! As Thanksgiving is quickly approaching, our team at the Over My Shoulder Foundation wanted to share how thankful we are for all of the mentors that have impacted the lives of our youth and made a difference in Designing the Next Generation. 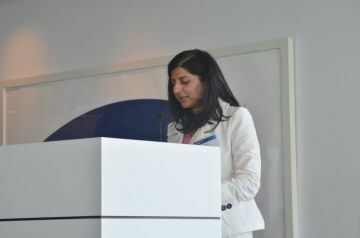 We often use our blog as an opportunity to highlight individuals that have been recognized for their contributions as mentors, and we recently talked about the positive impact that Bina Kalola, head of strategic investments and global equities at Bank of America Merrill Lynch had on women that want to move up the corporate ladder of male-dominated financial institutions. For the music industry, Amy Kurland, founder of the famous Bluebird Cafe, was recently honored with the Frances William Preston Award at the 43rd Nashville Songwriters Hall of Fame for helping to launch the careers of so many up-and-coming artists. We are pleased to announce that President Obama recently appointed Kim Taylor as a member of the President’s Committee on the Arts and Humanities and Margaret Russell as General Trustee of the Board of Trustees of The John F. Kennedy Center for the Performing Arts. For the past 30 years, Kim Taylor has been a part of the Boston Symphony Orchestra and has served in a variety of capacities, most recently a Trustee of the BSO. 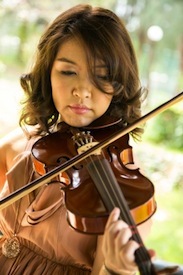 Because of her contributions, the BSO has become a valuable learning tool for our youth. 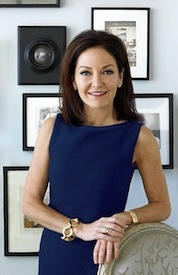 Margaret Russell is currently the Editor and Chief of Architectural Digest, but has mentored many in the design industry through her participation in shows like Top Design. Both women have made a valuable contribution towards Designing the Next Generation, which has helped to nurture the talent of our youth to help them succeed. Please remember that January is National Mentoring Month, so let’s help the youth around us! If you aspire to have a successful career in the design industry, one of the first steps that you should take is to find a mentor. For some, the thought of finding a mentor can be overwhelming, which is why Designing the Next Generation is our mission at the Over My Shoulder Foundation. Founded on the belief that we can make our rising generation better prepared and passionate about pursuing careers in creative fields through mentoring, we make it our goal to raise the awareness of positive mentoring relationships and the significant impact that they can make. One mentoring success story that we wanted to share is between David Laufer, visual designer and author, and George Nelson, architect and industrial designer. 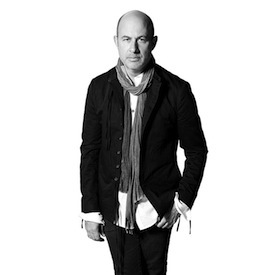 When Laufer was young in his career, he knew that he wanted to find a mentor and attempted to set up phone interviews with several of his design idols in hope of developing mentoring relationships. 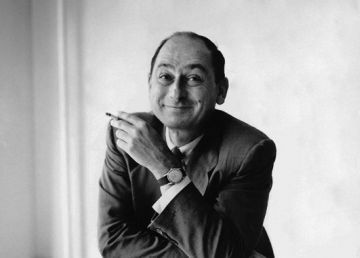 One of his those idols was George Nelson, and Laufer’s manager made him aware of an evening class that he was teaching at the Pratt Institute. After pulling some strings, Laufer was able to sit in on Nelson’s lectures and have an opportunity to build a relationship with him. Some of the most valuable advice that Laufer learned from Nelson related to public speaking. In one of Laufer’s first one-on-one encounters with Nelson, he was told that anyone can speak eloquently in a public setting with plenty of practice. To this day, per Nelson’s advice, Laufer is constantly putting himself in situations where he is required to speak publicly. The two stayed in touch throughout the years, and Laufer credits Nelson as being one of his greatest and most influential mentors. For more success stories about mentoring relationships, please contact me, Dawn Carroll. Most of us know Linda Perry as the lead singer and primary songwriter of 4 Non Blondes, but throughout her 25 year career in the music industry, she has also composed and produced songs for Pink, Gwen Stefani and Alicia Keys, to name a few. Perry also has her own record label and has signed up and coming artists such as James Blunt. Now her latest venture is “The Linda Perry Project,” which will be a reality series that will premier on VH1 in the summer of 2014. It will consist of the re-launching of her record label and finding up-and-coming talent to sign and mentor. Through Perry’s new show, aspiring musicians will receive a one-of-a-kind opportunity to work directly with Perry and learn the valuable lessons that she has been taught throughout her diverse career in the music industry. Understanding Perry’s passion for mentoring, I, alongside Creative Director Russ Mezikofsky, recently had an opportunity to meet with her to see if she would be interested in becoming the Over My Shoulder Foundation’s next “Mentorologist.” Throughout Perry’s career, she has benefited from cross-mentoring relationships with Pink, Christina Aguilera, and a number of other musicians, which demonstrates that she too is passionate about the concept of Mentorology. Fortunately, Perry agreed to take on the role as our next Mentorologist, and we look forward to the great insight and knowledge that she will bestow on our organization. In the meantime, we wanted to congratulate Perry for using her new show, “The Linda Perry Project” as a way to serve as a valuable mentor to a number of musicians. To learn more about the concept of Mentorology and what you can do to become involved, contact us at the Over My Shoulder Foundation. 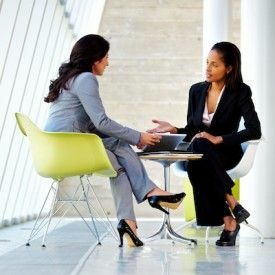 We often share mentoring success stories from the mentee’s viewpoint; however, the concept of reverse mentorology can make the experience just as rewarding for the mentor. Well-known singer and actress Cher can attest to this when she was recently asked to be a mentor to participants on the hit reality series The Voice. Admittedly, her role as a mentor to these up-and-coming singers required much more responsibility than she initially thought, and she was surprised at how emotionally involved she got with her mentees. Ultimately, while her mentees benefited from invaluable advice that Cher was able to offer regarding her lengthy career in the industry, Cher herself learned some important lessons from her mentees that will forever impact her own life. It was popular country singer Blake Shelton that decided to snag Cher to mentor his team on The Voice, which was an unlikely choice considering that the two specialize in different genres of music and come from different generations. For Blake, Cher has always had a special place in his heart due to his late father’s love of Cher. At the Over My Shoulder Foundation, we are passionate about raising the awareness of mentorology. We believe that everyone can benefit from positive mentoring relationships, especially when they are derived across generations and cross-culturally. In Cher’s case with the young singers on The Voice, her legendary career and the experience that she gained along the way has allowed her to make a strong impact in Designing the Next Generation. She, too, benefited from this arrangement, making this an excellent example of reverse mentorology. To learn more about the concept of mentorology, we invite you to contact us at the Over My Shoulder Foundation. We also love to hear your personal mentoring success stories, so please share them with us! We often use our Over My Shoulder Foundation blog to recognize mentors that have truly made a positive impact on the lives of others. With this in mind, we would be remiss if we did not mention Bina Kalola, head of strategic investments and global equities at Bank of America Merrill Lynch. Bina was recently awarded the title Mentor of the Year at the Wall Street Women Awards. Kalola has reached great heights within her organization by embracing the concept of mentoring, prospering from the mentors that she has had throughout her career as well as paying it forward time and time again as a mentor to many along the way. After attending Barnard College, she entered the world of Wall Street in 1990 by way of a summer internship at Shearson Lehman. During her time there, fellow Barnard alum, Jodie-Beth Galos, sought her out and taught her the ropes of the financial world. Between discussing more technical analysis and offering the occasional inspirational talk, Galos, a senior with the organization, made a lasting impression on Kalola as a positive role model. In 1991 Kalola joined Salomon Brothers and was fortunate to have another instrumental mentor, Tom Favia, guide her through the trading powerhouse. What she appreciated most about this relationship with Favia was that he was easily approachable a took the time to really listen to her. Congratulations to Bina Kalola for earning her well-deserved title of Mentor of the Year! For more mentoring success stories please contact me, Dawn Carroll, at the Over My Shoulder Foundation or share your own! We recently shared some tips for being a good mentee, and a critical component of strengthening the mentor/mentee relationship is blocking out time to spend together. If you’re searching for activities for mentors and mentees to do together, the Boston Symphony Orchestra (BSO) offers several programs that can serve as ideal learning tools for young adults. The BSO puts on three Family Concerts each year. For one of these concerts, Germeshuasen Family and Youth Concerts Conductor Thomas Wilkins, in partnership with pre-selected youth, will conduct the BSO. 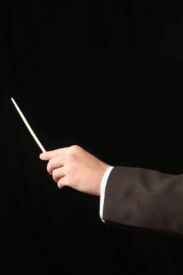 The other two concerts will be performed by the Boston Youth Symphony Orchestra. Please note that the next family concert will take place on Saturday, November 16 at noon, and the Boston Youth Symphony will be performing. Another way that the BSO can provide a valuable learning experience for mentees is through its high school mentorships program. High school students that participate in this unique program will have an opportunity to receive up to three meaningful coaching sessions with a BSO musician, with the program running January through May of each year. For any local high school students that are interested in learning more about this program, they can contact the BSO directly or download the application. 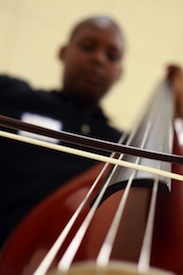 Regardless of age, all youth can benefit from a program offered by the BSO. As we approach the cooler and more dreary months in Boston, activities for mentors and mentees are limited, and the BSO offers a number of events throughout the year that are not only educational, but can help to cultivate the mentor/mentee relationship. For more about mentoring through music, check out Justin Locke’s inspirational story about mentoring in the Boston Pops. If you are interested in becoming a mentor or need help finding one, please contact us at the Over My Shoulder Foundation! All of our youth deserve the opportunity to develop into successful adults that contribute to society in a positive way. However, this is unfortunately not always the case as many of our youth lack a support system at home. One statistic that I found astounding is that only 25 percent of our youth population is actually making it through K-12 and college to achieve an academic degree. Youth involved in a mentoring relationship are more likely to stay in school. All too often, students that lack positive role models in their lives are less engaged in school and eventually drop out of high school before graduation. A study completed by the Big Brothers Big Sisters Foundation indicated that students that see their mentors regularly are 46 percent less likely to skip an entire day of school and 37 percent less likely to skip a class. While many youth may not have the support system at home to assist with homework and instill good study habits, many mentoring programs are focused on enhancing students’ academic skills. One of the major benefits of mentoring is that students are more likely to make better grades in school. If we continue to live in a world where our youth do not have positive role models, you can only imagine what our country will look like in 15 years. Understanding the benefits of mentoring, there are organizations, such as The Right to Succeed, that are doing their best to fix this problem, but we still need more mentors. To learn more about becoming a mentor, please contact me, Dawn Carroll, at the Over My Shoulder Foundation. If you’re passionate about music and want to take your skill set to the next level, you may want to consider exploring a music mentoring program. Another way to get great exposure to the industry and learn more about potential career opportunities is to participate in a music internship. Some teachers and guidance counselors are not as familiar with advanced learning experiences in the creative area, which is why we wanted to take a moment to discuss music internships for aspiring musicians. An internship is one of the best ways to solidify a career opportunity post-graduation, and the Dream Careers Internship Program was established with the intent of providing college students with guaranteed premier music internships. During the placement process, a Dream Internship Coordinator will be paired with a student to prepare a resume and prep for interviews to help the student put their best foot forward. The program works closely with a large base of music companies, providing a diverse selection of potential internships for someone that is passionate about the music world (creating, performing, promoting, and more). A listing of some of the music internships that are currently available through this program can be found on the organization’s webpage. To learn more about opportunities through the Dream Careers Internship Program, students must first be accepted into the program. To apply, you can contact Dream Careers at (800) 251-2933 or register for the program online. If you are an aspiring musician and want to learn more about available mentoring programs to help you reach your career goals, please contact me, Dawn Carroll, at the Over My Shoulder Foundation. Our mission is Designing the Next Generation, and raising the awareness of such programs available to our youth plays a big role in helping to accomplish this. If you are looking to become more involved in your community, one of the best ways to do so is to sign up to be a mentor. This is especially true for those involved in the creative design field. Young people interested in pursuing a career in this area often receive limited direction from teachers and guidance counselors as they are often not as familiar with opportunities in this industry and/or art and design mentoring programs available. For those living in the New York area, the AIGA/NY Mentoring Program helps to pair passionate high school students attending the New York City High School of Art and Design with mentors that are already creative professionals with blossoming careers. What makes this program unique from other art and design mentoring programs is that mentors are required to make a 3 year commitment to the program as the relationship begins during the student’s sophomore year and runs through graduation. Each pair will spend a minimum of four hours together each month. Because of the accountability that the mentor and mentee have to each other with this program, many of the students go on to graduate high school and receive a higher degree in a creative design field. If this article has inspired to you learn more about our Designing the Next Generation mission at the Over My Shoulder Foundation, I invite you to contact me, Dawn Carroll, for more information. Also, please be sure to check out our blog for more inspirational mentoring stories and feel free to share your own with us! We’ve used our Over My Shoulder Foundation blog to make you aware of several music mentoring programs, and most of these programs are focused on adults mentoring youth. Peer-to-peer counseling can prove to be just as valuable, which is why we wanted to mention the Music Buddies Mentoring Program through the American Youth Philharmonic Orchestra (AYPO). 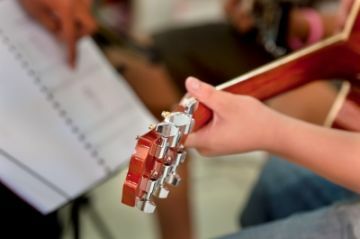 One goal of the Music Buddies Mentoring Program is to provide private music instruction to students that may not have the financial means to receive such training otherwise. All of the mentors in this program are currently youth musicians (8th grade and older) from the American Youth Concert Orchestra (AYCO), American Youth Symphonic Orchestra (AYSO), or the American Youth Philharmonic Orchestra (AYPO). When pairing program participants with mentors, the Music Buddies Mentoring Program takes into account both the age of the participant and the instrument that the participant plays to make the best match. 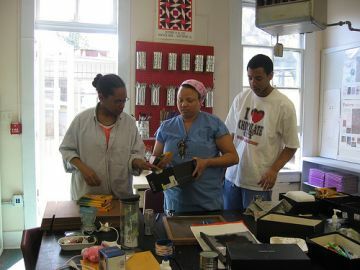 Students will meet with their mentors on a weekly basis at T.C. Williams High School for basic instruction, exercises, and practice of school orchestra/band music. The youth mentors then meet with program director Laura Cahn after practice to discuss important learning skills to help enhance their roles as music mentors and teachers. A second goal of this unique music mentoring program is to not only increase the interest of music in our youths’ lives, but to help keep them active and engaged in their schools’ music programs. All of the youth participants in the Music Buddies Mentoring Program, whether mentors or mentees, are sure to learn valuable lessons and skills from each other. To learn more about music mentoring programs in your area or how you can become a mentor through music, please contact me, Dawn Carroll, at the Over My Shoulder Foundation. We recently talked about an opportunity to become a music mentor to nurture a youth’s talent. There is no question that music mentoring programs can play an important role in providing a continued learning experience that help keep our youth engaged in school and out of trouble. This is why we wanted to highlight another program that is available to youth in Greater Boston. As a Berklee alumna, I wanted to share that Berklee City Music offers a series of age and skill-level appropriate music mentoring programs for middle school students and rising high school seniors living in Boston, Cambridge, Chelsea, Lawrence, Lynn, and Somerville. The goal of the program is to make a positive impact in the students’ lives while providing them with skills and lessons that they can utilize throughout their lifetime. Not only do program participants have access to year-round instruction from talented faculty members and one-on-one mentoring, but they also have the ability to use the Berklee media center, library, and participate in a variety of music classes and workshops. 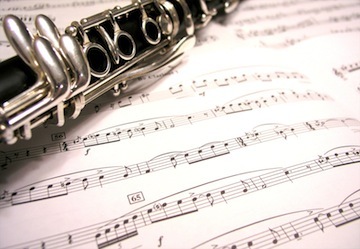 To be eligible for this music mentoring program, participants must express a deep interest in learning about music as well as have access to their own instruments. To learn more about how you can apply to this outstanding mentoring program, please contact City Music Boston at 617-747-2447 or visit the organization’s website. In an effort to raise the awareness of Mentorology and the positive impact that a strong mentor can have on a youth’s life, we often use our Over My Shoulder Foundation blog to share mentoring success stories. Whether you have a question about mentoring or a success story, we want to hear from you! Please contact us to continue this conversation. If your lifelong dream is to become a fashion designer, it can sometimes be difficult to know where to get started. All too often, our youth that aspire to “make it” in the fashion industry end up settling for jobs in retail and merchandising instead of working towards a higher level career. However, individuals that enter into a mentoring relationship with someone that has already gone through the challenges that are presented early on in the fashion industry are more likely to have successful careers in this field. Since we are passionate about Designing the Next Generation and the concept of Mentorology at the Over My Shoulder Foundation, we like to use our blog to share fashion and design opportunities with those that have a deep interest in pursuing a career in this area. Any young women (of at least 18 years of age) that are interested in modeling, fashion design, fashion buying, graphic design, and fashion photography need to know about the Fashion Apprentice Program offered by the Pretty Academy Ambassador Mentorship Program in Atlanta. This newly launched program will provide 20 women that fit this criteria with hands-on experience in their field of interest. The goal of this program is not only to provide a first-hand account of how the fashion industry works, but to also instill the confidence and courage that the participants will need to be successful in the fashion industry. By taking part in this unique program, the participants will be able to make valuable connections and learn about available fashion and design opportunities. To learn more about how you can get involved in our Designing the Next Generation initiative, please contact us at the Over My Shoulder Foundation. We’ve talked about some of the common obstacles that those in the fashion industry are faced with, and these challenges can be difficult to overcome without the advice, encouragement, and expertise from a mentor. Unfortunately, many of our youth entering the fashion industry are not sure where to start when it comes to finding a mentor. Attending a fashion conference does not only provide you with a great opportunity to stay up-to-date with the latest industry trends, but also can aid in making valuable introductions to key people in your field. 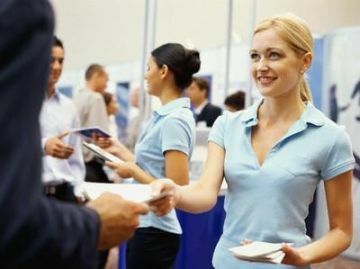 These industry leaders and centers of influence that you meet could be ideal candidates for your mentor, and attending a conference can allow for these relationships to blossom. If you are interested in attending a fashion conference, be sure to mark you calendar for the upcoming Fashionista Conference in LA on November 8 from 8:30 am to 5:30 pm. Attendees will have the opportunity to network and hear from some of the industry’s top designers, bloggers, editors, and stylists including L’Wren Scott, Erica Domesek, and Lyn Paolo. The overall theme of the conference is “how to make it in the fashion industry,” which is a burning question on the minds of many. While there are no guaranteed slots for fashion mentoring at the conference, over half of the attendees at the recent New York conference received a one-on-one mentoring session with leading industry professionals. If fashion mentoring is a priority for you, please be sure to register for this conference as soon as possible. Designing the Next Generation is our passion at the Over My Shoulder Foundation. If you want to stay in the loop with available fashion mentoring programs throughout the country, please contact us or subscribe to our blog. Music is capable of many things. 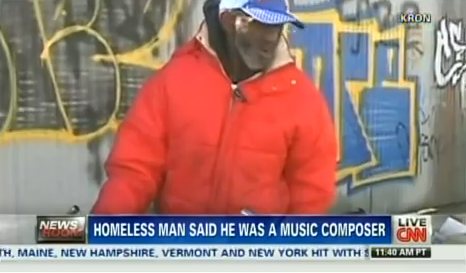 Singing and songwriting can provide an outlet for some who otherwise would find it hard to communicate. 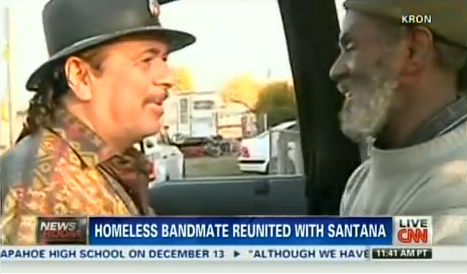 For others, music is a way to break down barriers and achieve things that they could have only dreamed of. That’s why I believe that mentoring those who have this wonderful ability is so important. The Over My Shoulder Foundation, after all, was started because of a song by the same name that I wrote. This song was performed by legendary Grammy Award Winner Patti Austin and her mentee. 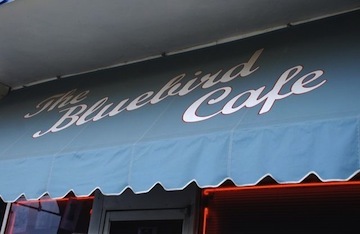 Now, if you’ve ever been to Nashville or watched the hit series on ABC, you know that the Bluebird Cafe is one of the city’s most famous landmarks. This intimate 90-seat venue is the setting where many famous country music artists have been discovered including Garth Brooks and Taylor Swift. In 1982, Amy Kurland opened the Bluebird Cafe, and since then her cafe has helped launched the careers of several aspiring songwriters and singers. By creating an environment where local Nashville artists can test their talent in front of a live audience that is often filled with influential guests in the music community, Kurland has become one of the most regarded mentors in Nashville. To honor her, Kurland will receive the Frances William Preston Award at the 43rd Nashville Songwriters Hall of Fame Dinner on October 13th. One recipient of this award is chosen each year, and the intention is to recognize an individual that has helped pave the way for songwriters. Kurland was a natural choice for this award as she has always felt that people are just as interested in the songwriter as the person singing the song, which in many ways is why the Bluebird Cafe has been so successful over the years. The music mentoring awards event will also honor the year’s best song, songwriter, and the “Top 10 Songs I Wish I Had Written.” To learn more about the upcoming music mentoring awards and attending this event, please call 615-256-3354. If you don’t live in the Nashville area and would be interested in attending an upcoming mentoring event near you, please contact me at the Over My Shoulder Foundation. I use the blog as an opportunity to make others aware of ways that they can get mentoring help or become a mentor themselves. We unfortunately are still in the midst of a challenging job economy, and for our inexperienced youth that are just coming out of school, there are even more obstacles to overcome. This is particularly true for the fashion industry where fashion and design opportunities are hard to come by, causing many youth to settle for jobs in retail and merchandising versus aspiring to a C-level executive position. Our mission at the Over My Shoulder Foundation is Designing the Next Generation, which is our international conversation about the power of Mentorology and the powerful impact that it can have on the lives of our rising youth. There is a great need for mentoring programs in the design industry as a mentor can play an instrumental role in helping to guide an aspiring designer to achieve a budding career. The Fashion Connoisseur is a Collegiate Scholastic Mentoring (CSM) Initiative, and the mentoring program was established with the intent of helping both youth in the fashion industry aspire to become leaders within their organizations and break through the barriers of entry level positions. Participants in the program will not only receive assistance in meeting professional and academic goals, but will receive valuable guidance that will be beneficial as they grow in their careers. Sometimes all that our youth, searching for fashion and design opportunities, need is a little encouragement, and a mentor can make all of the difference between a mediocre and a self-satisfying career in the fashion industry. Take the example of Denise Hajjar, who credits the support from her family and close friends to being an integral part to her success as a designer today — and she absolutely loves her career! To learn more about local mentoring programs or how you can serve as a mentor, please contact me at the Over My Shoulder Foundation. An increasing percentage of our youth population is expressing an interest in pursuing a career in the art and design industry; however, few of our teachers and counselors are aware of the wide variety of career opportunities available in this field. For this reason, we often use our Over My Shoulder Foundation blog as an opportunity to share some youth mentoring programs that were designed to expose our youth to real life experiences of what careers in art and design would be like. According to the Open Education Database, the fastest growing careers in art and design include the following: animator, art director, fashion designer, film director, graphic designer, interior designer, landscape architect, and photographer. If you think about how we live our lives today (interacting with friends and family via social media and being heavily influenced by the advertisements that we see on the internet), we are constantly confronted by the visual arts industry. For these reasons, there has been a spike in demand for individual’s knowledgable and capable of handling a career in this field, and this trend will only continue as our society becomes more dependent on technology. Where those that majored in art years ago had a difficult time transitioning into the workplace, today’s need for individuals with a creative background will continue to increase for years to come. A great example of the success one can find by pursuing their career in this ever-growing field is the story of Maria “TOOFLY” Castillo, who turned a passion for graffiti and illustrations into various products — including stationary, jewelry, and her own line of t-shirts. You can read more about Maria’s story on my blog. Mentors can play an instrumental role in helping to guide a young person with these interests find the right career path. We need more mentors, and if you have an interest in serving as a mentor to a member of our youth that would like to pursue a career in art and design, please contact me at the Over My Shoulder Foundation today. Unfortunately, we are seeing a rise of at-risk youth in our communities. An at-risk youth student is best defined as someone that is statistically more likely to do poorly in school due to a low socioeconomic status, disability, and/or little to no parental guidance in the home. One of the best ways to correct this problem is to expose these at-risk youth to positive role models, which is why we are now seeing a number of mentoring programs appearing to help address this issue. Caring and Stable Relationships: Teachers are often some of the first mentors that our youth have, and a major challenge that we face with our education system is retaining teachers. In addition to a mentor being trusting and caring, it is imperative that they are a stable and reliable figure for our youth. Help Set Attainable Goals: Students often look up to celebrities and athletes in our society and set goals based on what these individuals have achieved. Sometimes these goals are not always realistic, and a good mentor should help guide his or her mentee towards more reachable goals. Offer Guidance: Our youth need mentors that can help to guide them towards achieving their goals and overcome obstacles along the way. Create Engagement in Both School and the Community: You can help your mentee to become engaged by recognizing his or her positive contributions in these areas. For more about mentoring at-risk youth, please contact us at OMSF. There is no question that there is a growing number of high school students that have expressed an interest in a career in the design industry. However, it’s unfortunate that parents, teachers, and even guidance counselors are not well versed on art and design mentoring programs that would offer students additional exposure in this area. Since we’ve made it our mission to share the powerful impact that “Mentorology” can have on Designing the Next Generation, we wanted to make our followers aware of a program called Youth Design. Seeing a great need for an art and design mentoring program in the Boston community, the Youth Design mentorship program was established to expose inner-city high school students to what a career would look like in the design industry. Participants not only have the opportunity to work closely with some of the most respected design firms in the city, but also earn an income during the program. Denise Korn, in conjunction with Boston’s American Institute of Graphic Arts organization and Boston’s Private Industry Council, founded this summer mentorship program to provide guidance to students with a creative spirit that are looking to pursue a career in the design industry. To date, a total of 59 students have come through the Youth Design program, which has resulted in many of them going on to study for a career in the creative industry in college. To learn more about this wonderful mentoring program and how you can become involved, please contact Youth Design at 857-277-1737. If you would like to find out about other art and design mentoring programs in your area, please subscribe to the Over My Shoulder Foundation blog and be sure to “like” us on Facebook too! We recently talked about Youth Design, which is an art and design mentoring program targeted towards Boston high school students with an interest in exploring a career in creative design. To elaborate on this post and provide students with an interest in design some additional helpful information, we wanted to take a moment to tell you about some architecture career fairs in Boston, most particularly the Boston Society of Architects (BSA) Architecture and Design College Fair. This highly anticipated career fair will take place on Saturday, October 26 from 10 am to 2 pm at the Wentworth Institute of Technology. The event is completely free for students and their families to attend, and nearly 40 schools with outstanding architecture and design programs will be present. While the event is free, please note that registration in advance is required. For a full list of the schools that will be in attendance at this year’s career fair, please visit the Boston Society of Architect’s webpage. Selecting the right design program for you to participate in can be a challenging and overwhelming task, and the Boston Society of Architects helps to make this process easier for you by sharing some helpful resources and important factors to consider. To learn more about some of the upcoming events for the Boston Society of Architects, please check out the calendar on the organization’s website. If you are interested in learning more about architecture career fairs in Boston, please feel free to contact us at the Over My Shoulder Foundation. We are passionate about Designing the Next Generation, and attending a career fair can offer some excellent guidance to individuals that aspire to have a career in a creative design field. If you have found this article to be helpful, we encourage you to SHARE it! Our mission at the Over My Shoulder Foundation is to raise the awareness of Mentorology, which is the art and science of mentoring. Both the organization’s co-founder, Patti Austin, and myself have benefited tremendously from the mentoring relationships that we’ve experienced throughout our lives, and we believe that mentors will play a powerful role in Designing the Next Generation. We often use our blog to share mentoring success stories and have touched on how to establish a company mentorship program. Before getting started with designing a mentoring program for your organization, though, it’s important to first identify the need. 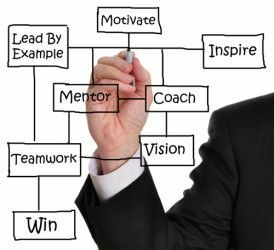 Perhaps your overall goal of the program is to develop loyal and competent leaders to run and manage the company in the future. Another objective could be to create a mentorship program specifically for women to help encourage their growth up the corporate ladder. Regardless of your reason, there has to be an actual need, and uncovering this should always be the first step in how to start a mentoring program. Once the need for the mentorship program is identified, you can begin designing the parameters of the program to determine how it will best function and serve your need. For example, if the goal of your mentorship program is to improve the lives of the underprivileged youth in your community, you may consider partnering with a local school. You will also need to consider where and how often mentors will meet with their mentees, how goals will be measured, the length of the program, how staff will provide necessary support to program participants and so forth. For more about how to start a mentoring program, contact us! Don’t forget to like Over My Shoulder Foundation on Facebook too! I have experienced much success in my career due to the mentors that have impacted my life, which is why I co-founded the Over My Shoulder Foundation with Patti Austin. We often like to use our blog as an opportunity to highlight strong and formidable mentoring programs, and we would be remiss if we did not mention the SUCCESS Mentoring Program at Texas Woman’s University. There are few programs out there dedicated to women in mentoring, and the SUCCESS Mentoring Program has been designed to cater to women that are first-generation college attendees in their family. Through this program, mentors will be provided to these young women to provide them with the support that they need to have a successful first year of college and lay the foundation for future years. Participants in the program will not only have their mentors to help guide them through this process, but an entire support network of peers that are also part of the program. Through activities that encourage social interaction, leadership development, and educational success, these women will be better prepared and are more likely to stay in school through graduation. The mentors in the program are upperclassmen and can offer valuable experience and expertise for the challenges that incoming freshmen often face in their first year. The program participants will meet with their mentors one-on-one twice each month in addition to attending monthly social activities within the group. This is a great way to foster long-lasting, positive relationships that will continue throughout the participants’ college careers. To learn more about this program, please contact Michelle Buggs: 940-898-3679. If you are interested in learning more about Mentorology or Designing the Next Generation, please contact us at the Over My Shoulder Foundation. Consider what you hope to gain out of your mentoring relationship. While you may be well-educated, establishing a relationship with a mentor that is experienced in the design field can help you to gain new insight and wisdom that you might not have had otherwise. If you are already employed by a design firm, check with your HR department to find out if your company offers an internal mentoring program. Be sure to check out the Over My Shoulder Foundation blog to learn more about ways that a company mentoring program can be advantageous to you. Turn to organizations that you are involved with to find a mentor. You don’t always need your mentor to work within your organization. 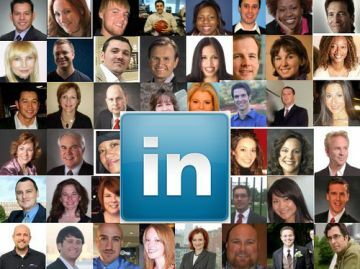 Use LinkedIn to perform an “Advanced People Search” to uncover prospective mentors in your industry. You may find someone that graduated from your alma mater or is involved in the same organizations that you are. Don’t rule out a mentor that may be younger than you. Just because the mentor is younger doesn’t mean that they have less experience than you. If you’re in a successful mentoring relationship today, what other tips or best practices can you offer for how to find a mentor? For those looking for design mentoring programs in Jacksonville, we wanted to take a moment to highlight the Discover Design Mentoring Program, which is targeted to high school students living in the Jacksonville, Florida area. Since 2008, this five month mentoring program has paired high school students with an interest in design with local design professionals in the community. Throughout the duration of the program, the students meet with their professional design mentors on weekends to complete design related projects that will better the community. 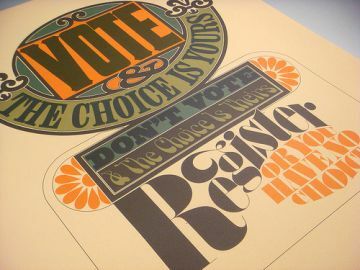 Examples of previous projects that have been completed include posters to encourage voting, billboards that promote tolerance, and an iPad app that highlighted local cultural “hot spots” around Jacksonville for teens to check out. The effectiveness of this mentoring program has been incredible, encouraging the quieter students to really come out of their shells and find themselves. Much of this can be attributed to the mentoring relationships that the students have built with their design professionals, which has offered them confidence and trust to see the project through. This program has helped students to connect some of the basic design principles that they have learned in school to a larger social, economic, and cultural environment and find ways to improve upon it. In addition, the mentors participating in this program are often exposed to new ways of thinking about things, and the students help them to be aware of things that they may not have known about otherwise. We look forward to seeing more local design mentoring programs offer the same benefits to mentors and students in the future. If you enjoy the content shared by the Over My Shoulder Foundation, contact us! SHARE your mentoring stories, consider donating to our non-profit organization, and don’t forget to follow Over My Shoulder Foundation on Facebook too! Getting our youth involved in design mentoring programs is one of our goals with our Designing the Next Generation initiative, which is why we often use our blog as an opportunity to share mentoring success stories. One unique program that we wanted to mention is School: By Design, which pairs under-served high school students up with mentors that are either in college or design professionals. Through this one-of-a-kind program, the students will collaborate with their mentors to redesign their schools, which will in turn expose them to architecture, industrial design, graphic design, environmental graphics, interactive design, illustration, and photography. Ultimately, these disciplines encourage creativity and new ways of thinking about things, which will be useful skills that the students will be able to use throughout their lives. The overall goal of this six week program is to get the students thinking outside of the box about solutions to problems and challenges that currently exist within their schools and finding ways to address them. Together, the teams will work to develop solutions that not only will improve the quality of learning that students will receive in the classroom, but also in the local community as well. To conclude the program, students will be able to exhibit their design plans in a public venue to help share their vision with peers, school administrators, and the local community. As mentors, there is so much that we can learn from this experience, and getting our youth involved and excited about the world of design is key to a successful future. To learn more about how you can participate in this program, please complete and submit the registration form to Worldstudio. To learn more about design mentoring programs, please contact us at the Over My Shoulder Foundation! 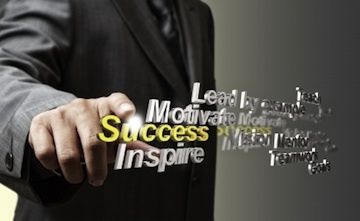 We also invite you to SHARE your mentoring success stories! Decision Making: While it may not seem like it at first glance, art and design can actually strengthen problem-solving and critical-thinking skills. Creativity inspires our youth to look at things from different angles as well as discover new ways of doing things. These are critical skills that our youth can benefit from throughout their lifetime. Visual Learning: Our youth are constantly exposed to three-dimensional objects on computers, social media networks, and television, and art and design can help this age group to gain more input and better understand this visual information and how to make choices based on it. Cultural Awareness: Our society is becoming much more of a melting pot, and art and design are critical ways in which different cultures define themselves. For example, some colors are more prominent in one culture than another. Allowing our youth to gain a better understanding of the choices that an artist or designer may have made can allow them to better understand the concept. To expand on our discussion of the importance of visual learning and how it plays a powerful role in Designing the Next Generation, please contact us at the Over My Shoulder Foundation. 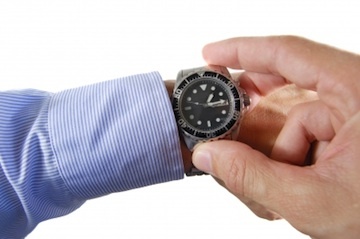 Incorporate downtime into your schedule. This means building in time to hang out with friends and family, which is one of the best ways to recharge. By making a habit of proactively doing this, you will find that you still have time to work hard and play hard. Outsource your errands. A trip to the grocery store and mowing your lawn can take up precious time, which you probably don’t have a lot of. Find ways to eliminate these daily chores when possible, such as ordering your groceries on the Internet and paying someone to cut your lawn. Make time for exercise. Exercise is a great stress reliever and is a proven way to increase your energy levels and allow for better concentration. Starting your morning with a run or trip to the gym before your family wakes up can allow you to fit in a workout without taking time away from family or work. One of the more unique ways that a community has been able to engage youth and use teamwork as an opportunity to teach positive work ethic is through Minneapolis’s Mentoring Peace Through Art program. The mission of this program is to use art and neighborhood improvement projects as a way to serve the social needs of at-risk youth of diverse communities by putting them in real life situations of working together. As a result, the participants of the program will feel a sense of self-worth. Mentoring Peace Through Art offers two programs: MuralWorks in the Streets and MuralWorks in the Schools. 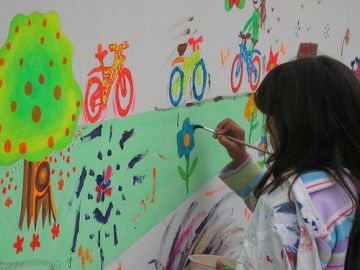 Through the MuralWorks in the Streets program, unpleasant gang graffiti is painted over with vibrant colors to make peaceful, positive images. The majority of the teens participating in the program have very limited experience with painting, so not only are they coming together to improve their community, but they’re learning together too. During the summer of 2012, the program engaged 80 teens in the community to paint 11 murals throughout Minneapolis. Similar to the MuralWorks in the Streets program, MuralWorks in the School also uses art as an opportunity to teach teamwork to at-risk youth. The main difference is that MuralWorks in the School works with elementary school aged students in the classroom. Throughout the fall of 2012, this program worked with 90 third-graders at Evergreen Park World Cultures Community School to turn them into “education workers” and get them excited about art. We are advocates of mentorship at the Over My Shoulder Foundation as we understand the positive outcomes that can result from these types of relationships. Please contact us to learn more about our organization and how to find a mentorship program in your community. As I continue to learn more about the cutting edge designers, builders, and architects out there, I am amazed by what I find. My partner and co-founder Dawn Carroll just introduced me to the bio of super star architect Zaha Hadid. Oh how I would love to be mentored by her! She was most recently recognized at the international level for her incredible design of the Olympic Aquatic Centre, which houses two swimming pools and 22,500 seats. Other notable designs include the Bridge Pavilion in Spain, the Bergisel Ski Jump in Austria, and the Vitra Fire Station in Germany. She has also begun planning for an 11-story condo building on NYC’s High Line. Her successful career in architecture has earned her the Pritzker Prize and the label of one of CNN’s ‘Leading Women’ among many other accolades. 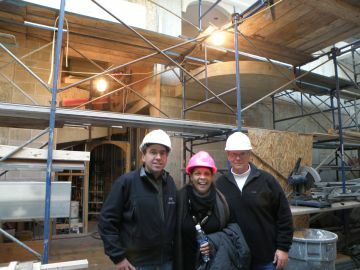 Surprisingly, there are very few leading women architects in the industry, which makes me wonder why this is the case. The RIBA Future Trends Survey indicated a 7 percent decline in the number of female architects over the past two years. According to Zaha, she thinks that it is because many women struggle with the work/life balance and often feel overwhelmed trying to be the best at everything: career woman, homemaker, mother, and wife. By trying to juggle all of the tasks related to their personal lives, they may feel as though they don’t have the focus or drive to become successful architects. To help create more successful women architects in the future, Zaha is a believer in women in mentoring relationships. In fact, while she used to not like being labeled a ‘woman architect’, she now knows that her role as a leader in the industry can be inspirational for other aspiring women architects and help to reassure them that it can be done. I, along with my mentor in design, Dawn Carroll, have started the Over My Shoulder Foundation in an effort to start an international conversation on mentoring through our Designing the Next Generation series. Please contact us to learn more about women in mentoring and the powerful effect it can have. Recruitment: In order to attract the strongest mentors for your program, you should realistically portray the benefits and challenges that will be associated with the program. You should also outline the expectations of what your ideal mentor/mentee relationship will look like in this program. When recruiting, be sure to look for mentors that will fit in well with your program’s culture and the mentees that are enrolled in the program. 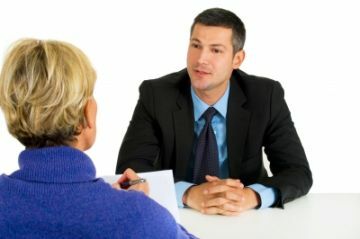 The following should be considered for mentor applicants at a minimum: the written application, the time commitment, a face-to-face interview, a reference check, and a criminal background check. Training: At a minimum, you should offer two hours of in-person training to your program mentors, which will cover the program rules, expectation of the mentor/mentee relationship, ethical issues, and resources available to help strengthen the mentor/mentee relationship. 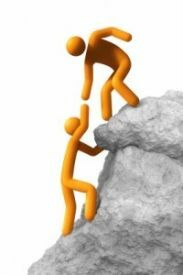 Ongoing Support: To ensure that the mentor/mentee relationship is successful from the start, it’s a good idea to reach out to the mentor and mentee twice individually during the first month of the relationship and once a month going forward. This allows for the relationship to be tweaked when necessary and additional support to be offered when needed.